But that’s only where it begins. What we really do is build bikes for people who haven’t forgotten how to ride one. Whether you commute twenty miles five days a week or haven’t touched one in twenty years, we build bikes for everyone. We build them in a city with manufacturing prowess and deep traditions of bicycle production, touring, recreational riding, commuting, and racing. The prototype was constructed in a coach house off Woodward Avenue, a couple of blocks from where Henry Ford once lived. We manufacture every frame at our factory in West Detroit. We weld them here. We paint, assemble and package them here. You? You ride them joyfully wherever the road takes you. Riding a bike should be simple. Whether you’re commuting five miles between home and work every day, darting down to the store to grab some groceries or cruising by the river on a warm summer night, this is a durable bike that is fun to ride. Riding a bike should be fun. 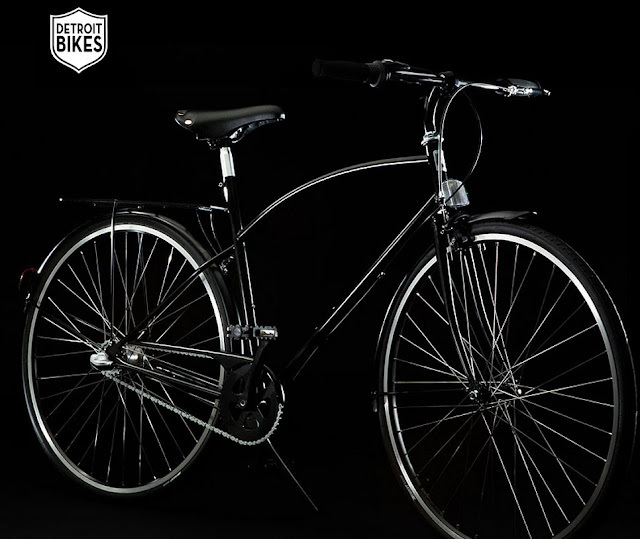 The one-size-fits-almost-all lightweight chromoly steel frame of our A-Type makes it a perfect sharing bike. They’re light and strong. 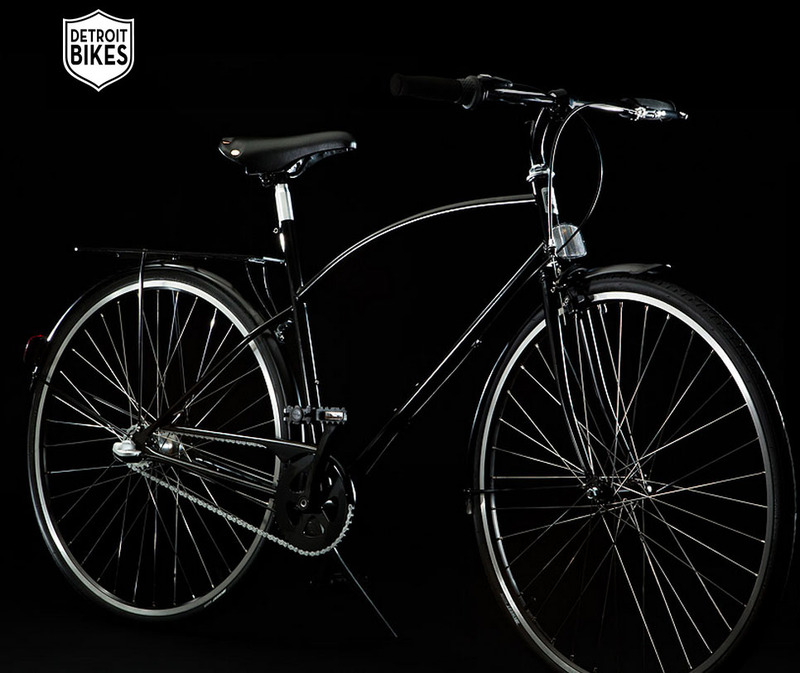 If you’re between 5’5″ and 6’2″, this bike will fit you. The slightly larger wheels mean our bikes ride smoothly. Coupling foot and hand brakes ensures full control and positive safe braking power. Each bike has three speeds and one paint job. Although we like things as simple as possible there are ample braze-ons to allow for customization, feel free to put some cards in your spokes.